The German Association of Martial Arts Schools against Violent Extremism (Deutscher Verband der Kampfsportschulen gegen Extremismus DVKE) is a unique and first of its kind initiative of the German Institute on Radicalization and De-Radicalization Studies (GIRDS) in Stuttgart and the Sports School Choi in Berlin, Germany. 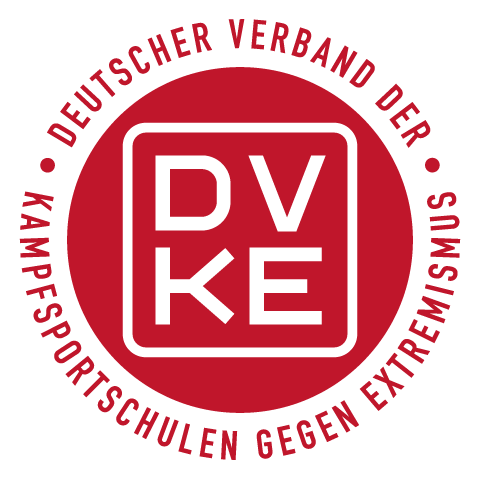 The DVKE is a network of committed martial arts schools in (currently) German speaking countries working against violent radicalization and extremism of every sort. The issue is now more pressing than ever. International terrorist organizations like the “Islamic State of Iraq and the Levante” (ISIL) recruit foreign fighters around the world and continue to have a dangerous appeal especially towards adolescent males. ISIL actively calls on their supporters to train martial arts like the Israeli Krav Maga to prepare for Jihad either when joining the organization in Syria and Iraq or in their home countries. In addition, militant white supremacist and neo-Nazi groups have increasingly radicalized and actively prepare for the fight against democratic governments and their representatives such as law enforcement and military. This preparation includes training in martial arts and close combat. Violent extremist groups of all sort have hence attempted to run their own martial arts schools but also to infiltrate existing mainstream training centers for recruitment and to avoid detection. Next to parents and teachers, martial arts experts and coaches are uniquely positioned to recognize a violent radicalization process and intervene as mentors and respected attachment figures for teenagers and adolescents. To achieve that, these mentors need to be specially trained to understand the psychology and signs of violent radicalization processes. Therefore, the DVKE aims to become a network for martial arts schools that see the human being in the center of the sport and the practice of tolerance practiced in every training. DVKE members want to be role models for a non-discriminatory society based on mutual respect and equal rights, in which martial arts is carried by a philosophy of de-escalation and prevention of violence. Self-defence has the goal to protect human beings and to provide self-esteem but it also aims to develop the ability to avoid conflict and end a dangerous situation as quickly as possible. Hence, the DVKE is worldwide the first network of martial arts schools which introduces counter-radicalization into the daily training school routine. We aim to train our members to spot violent radicalization processes as early as possible and to be able to react adequately. Ideally, DVKE mentors are able to act as strong partners for other more specialized CVE and deradicalization programs. Successful and complete participation in the main mentor training course of the DVKE. The school must have at least one trained mentor available at all time. Adaption of the school’s house rules according to DVKE standards. Having stored and available information material about CVE and counter-radicalization for parents and the interested public. Continuous education and specialization in the field of counter-radicalization through regular participation in specialized workshops and training course related to the main topic. These regular additional trainings must be verified to DVKE. All DVKE members and carriers of the quality seal will be listed and introduced in a public database. Costs: membership in the DVKE network is connected to a small annual fee, which allows for reduced participation charges for the training course and to carry the quality seal for free. Without membership carrying the quality seal will be connected to a small annual protection fee. Additional training course might cause further costs (travel, accommodation, participation fee). If there is any reason for concern that a quality seal carrying school violates the basic statutes of the DVKE, the seal can be removed unilaterally. The DVKE network was created and is organized by the German Institute on Radicalization and De-Radicalization Studies (GIRDS) and the Sports School Choi Berlin. If you are interested in additional information, please get in touch with us under contact[at]girds.org. Disclaimer: the German Institute on Radicalization and De-Radicalization Studies (GIRDS) is a non-profit network. All revenues generated through the DVKE will go in 100% to the partnering martial arts schools to improve their work against violent extremism and radicalization.